Have you been hoping for Santa to come along and gift you a cool BMW X1? Perhaps a Harley Davidson to impress girls with? Or maybe an excellent bicycle like Hercules to help you stay fit? 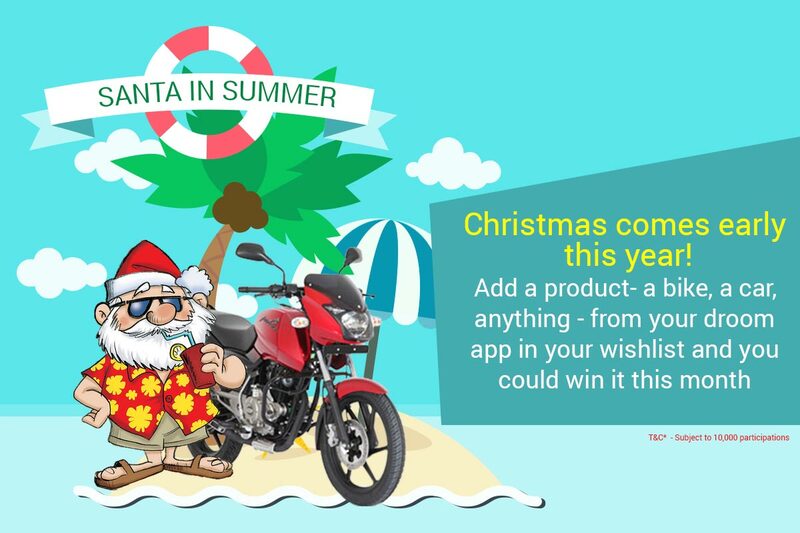 droom has just answered your prayers – we’re bringing Santa in Summer this time! All you have to do, from now until 30th April, is add any product from our wide variety of products in your wishlist. Register now on droom, on the app or web site, and add your chosen product to your wishlist. You stand a chance to win it at the end of this month! – Participation is purely voluntary. It is an amazing App. with good service….